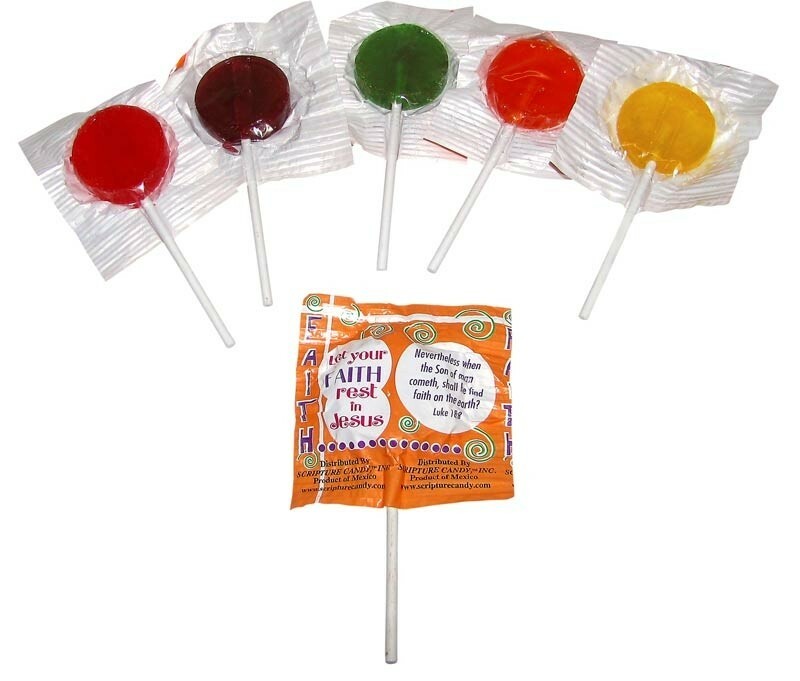 Each case of Christian Candy Lollipops feature contain An assortment of fruit-flavored lollipops: Grape, Lemon, Orange, Cherry, and Lime. Each Scripture pop is wrapped in both 1 of 62 "faith" scriptures and sayings. Perfect for school or church parties, halloween parties, birthday or any occasion. There are approximately 1,250 pieces per 25 lb. box.